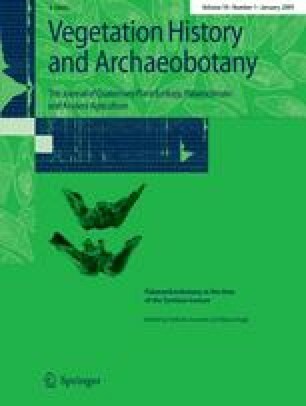 This paper reviews the archaeobotanical research conducted on the plant material recovered from the Iceman′s body, his garment and equipment, as well as that from the sediments of the gully in which the body was discovered more than 15 years ago. These recent results are discussed against the background of the archaeological findings during the last few years and disclose both conformities and discrepancies of the disciplinary-centred views. In particular the archaeobotanical results concerning the season of death as well as the taphonomic interpretation of the find assemblage give cause for controversial discussions and constitute the future research focus. Furthermore, the singularity of this discovery demands an evaluation of the archaeobotanical findings within a circum-alpine context to reveal the representativeness of this find assemblage for the inner alpine Neolithic. This was the objective of a specific symposium at the 17th International Botanical Congress in Vienna in 2005. The author acknowledges the Austrian Science Foundation for funding of this research. We are grateful to Dr. Edith Bucher, Pollenwarndienst Südtirol, for providing recent airborne pollen monitoring data for Schlanders. Finally we would like to thank the South Tyrolean Archaeology Museum for making available the photographs of the Iceman′s equipment (Figs. 3, 5).